A quick look back through this blog says that it was last September that I started this jumperand there's not been a huge amount of progress since. 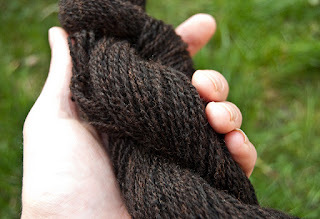 I find spinning indoors difficult, particularly in the evening and particularly black yarn. An alternative to waiting for the spring would have been to repair or replace my broken craft lamp... But anyway. 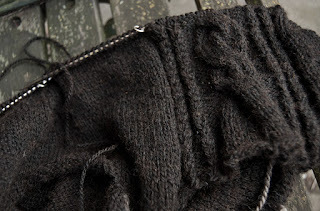 Spring is here and we've had some gorgeous afternoons, during which I've made some progress on this project. 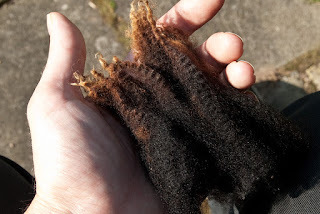 This is some of the zwartbles fleece that I collected from Yew Tree Farm last year. It's beautiful. 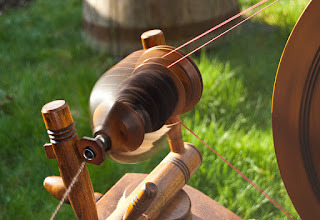 This is fabulous, and to think you just came with your Mum who wanted to spin...! Mum's getting on just as well with her spinning, she has a lovely Haldane. 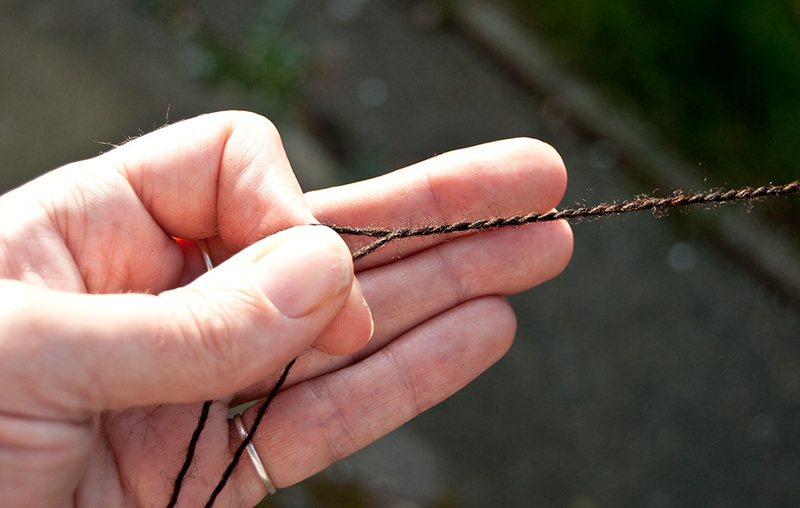 In fact I'm at hers as I write this and we have the drum carder out.